Steve Jobs - Greatest contributor to technology. ~ Engineering projects ideas for final year students & paper presentations collection blog. Steve Jobs - Greatest contributor to technology. This post on the great, Steve Jobs! is an tribute to the king of modern computers..
Everybody knows Steve Jobs was a genius, but only some of them knew his actual influence on present technology, one such person is Walt Mossberg who was the editor for the technical column in “wall street journal”. Walt Mossberg shares his thoughts about Steve Jobs in his blog shortly after his death. Steve Jobs influenced billion of lives with his technology he has been role model to many of the present corporate leaders. Many people look upon him in the range of Thomas Alva Edison or Hendry ford. He was the ultimate CEO, he hired many minds around the world, employed them for a long period of time, took many risks, made big bets and insisted on product quality unlike others. He empowered his users and not the intermediate corporate or it directories, which made him distinct and special from others. Initially when Steve Jobs were at Apple Walt Mossberg didn’t know him. The first meeting between both took place only during Jobs return in 1977. Right after that time Jobs began to call him regularly during Sunday nights, to discuss about his reviews on his products which Walt Mossberg didn’t recommend for his readers .The talks between the both extended even for hours together. Now Walt Mossberg started to recommend apple products to an average non technical user which was Steve Jobs target. Sometimes Steve Jobs showed his new products first to Walt Mossberg in his boardroom before showing it to the world. He mostly did the same with the other journalists also. He was almost like a show man casting his products to others with immense pride in his voice. When Steve showed his first iPods to Walt Mossberg, Walt was quiet astonished and had asked Steve that how could a computer company produce an mp3 player but Steve had replied that Apple was not a computer company but it was a digital products company. It was the same with iTunes, iphone and even iPod. Steve had shown his first iphone to Mossberg at his house because he was too ill to go to office at that time. One technical conference that Steve Jobs always attended was D:ALL THINGS DIGITAL conference of Walt Mossberg’s news paper, where there is a principle of not using slides for any presentation ironically Steve’s prime presentation tool was slides. Once in the same conference Steve had prepared several slides for his speech (knowing that slides were not allowed) and was practicing them backstage before the program was about to begin. When Walt had insisted him not to use them on stage Steve argued with him for a very long time and then accepted not to use the slides on stage, yet he made it big that day and proved that he was the favorite speaker of people. Everyone knows about the relationship between Bill Gates and Steve Jobs. During the 5th D: conference, both Bill Gates and Steve Jobs had accepted to do a joint stage interview with Walt Mossberg. The interview started off first with Steve Jobs so that Bill Gates could join them later, in that interview Mossberg had asked Steve Jobs that “how it is like to see many windows users making use of your iTunes players?” for that Steve had replied that it is like “giving a glass of ice water to someone in hell”. Later when Bill Gates arrived he happened to hear about this comment, he asked Steve Jobs that:”so I guess I’m the representative from hell”, Steve Jobs merely handed Gates a cold bottle of water that he was carrying. The tension created by Bill Gates was simply shattered, the interview became a triumph and the audience gave a standing ovation at the end. Steve jobs was very optimistic this was shown very well during the dark days of apple in 1997 and 1998 when he was forced to turn to Microsoft for help. He still had his nasty and mercurial qualities which he later expressed to vendors and dealers who wanted to connect to Apple. He was a very self motivated person who still wanted to keep going even after his illness and liver transplant. Steve jobs was a great man who almost changed the view of technology to a common man. "And by turning his talents to storytelling, he has brought joy to millions of children and grownups alike. Steve was fond of saying that he lived every day like it was his last. "Because he did, he transformed our lives, redefined entire industries, and achieved one of the rarest feats in human history: he changed the way each of us sees the world. "The world has lost a visionary. And there may be no greater tribute to Steve's success than the fact that much of the world learned of his passing on a device he invented. Michelle and I send our thoughts and prayers to Steve's wife Laurene, his family, and all those who loved him." "Melinda and I extend our sincere condolences to Steve Jobs' family and friends. The world rarely sees someone who made such a profound impact." 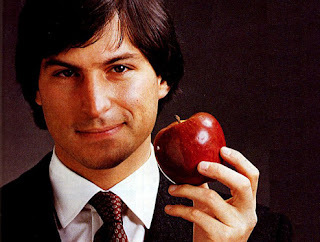 "Steve Jobs was a great California innovator who demonstrated what an independent and creative mind can accomplish." We've lost a unique tech pioneer and auteur who knew how to make amazingly great products. Steve fought a long battle against tough odds in a very brave way. He kept doing amazing things in the face of all that adversity. As someone who has had his own medical challenges, I couldn't help but be encouraged by how he persevered." 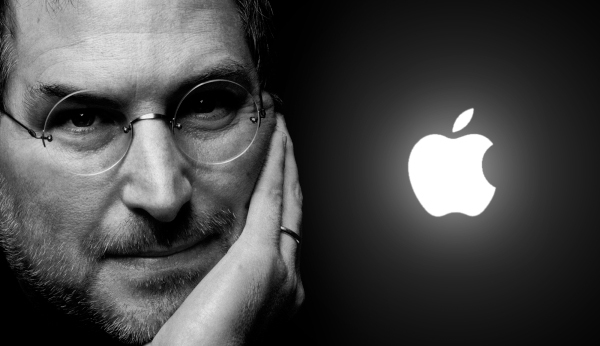 I want to express my deepest condolences at the passing of Steve Jobs, one of the founders of our industry and a true visionary. 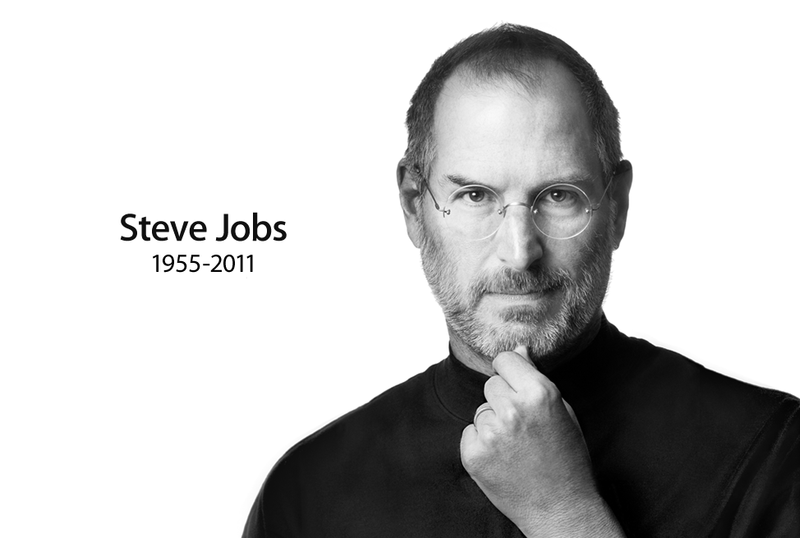 My heart goes out to his family, everyone at Apple, and everyone who has been touched by his work." He was a great man with incredible achievements and amazing brilliance. He always seemed to be able to say in very few words what you actually should have been thinking before you thought it. His focus on the user experience above all else has always been an inspiration to me." "Once in a rare while, somebody comes along who doesn't just raise the bar, they create an entirely new standard of measurement." RIP Steve! You lived the most meaningful life on the earth! We'll miss you..